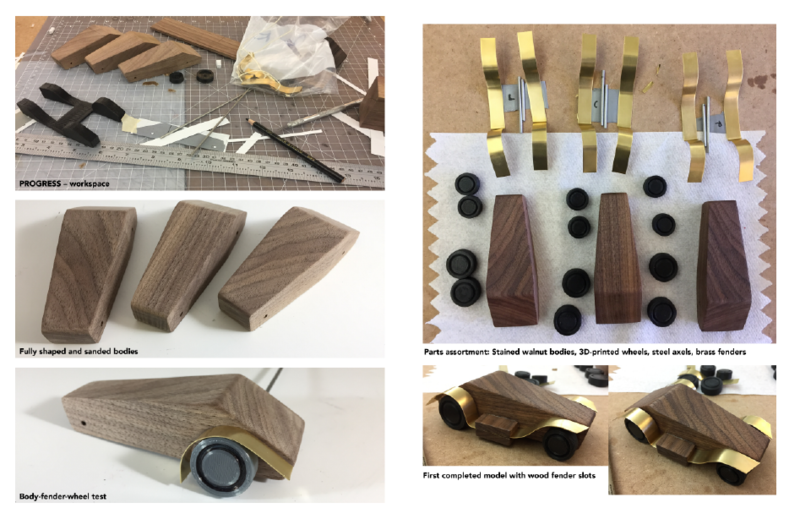 These model cars came from a class called Experimental Form, which focuses on skilled craftsmanship and the consideration of all aspects of three-dimensional forms. The requirement for the project was to create three identical objects: one to keep, one to give away, and one to sell. The focus was not only on the product itself, but the time spent crafting it and its perceived value based on the chosen materials. 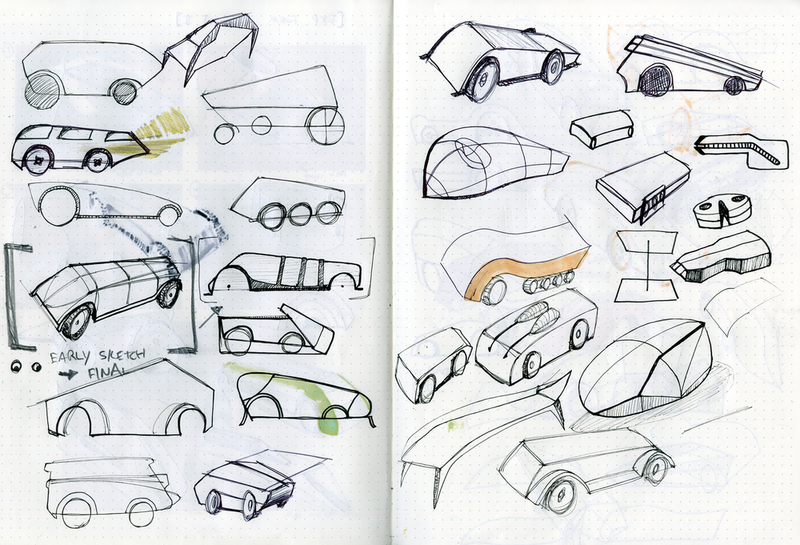 I chose to design a set of cars because I have always appreciated cars as aesthetic objects. I wanted to capture the feeling of a certain type of car in a miniaturized scale. As I prototyped and refined my design, I realized that the form echoed an antique car, with an elongated front and swooping fenders. I chose to contrast brass accents with stained walnut to enhance the elegance of my design. The combination of darkened wood, shiny metal, and black wheels give the final model a distinctive, refined look. 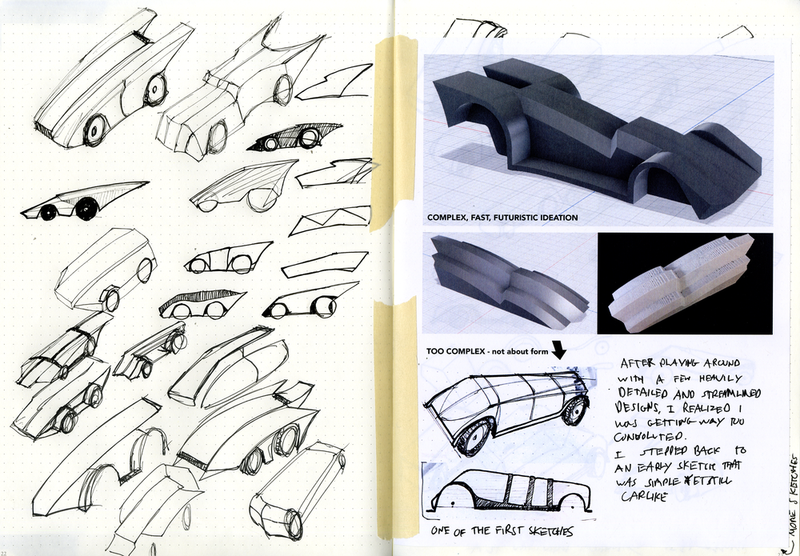 Sketchbook pages and digital documents showing the development of project from concept to final.